Frankly, these designs look inviting, with the soft fluent green of healthy moss. 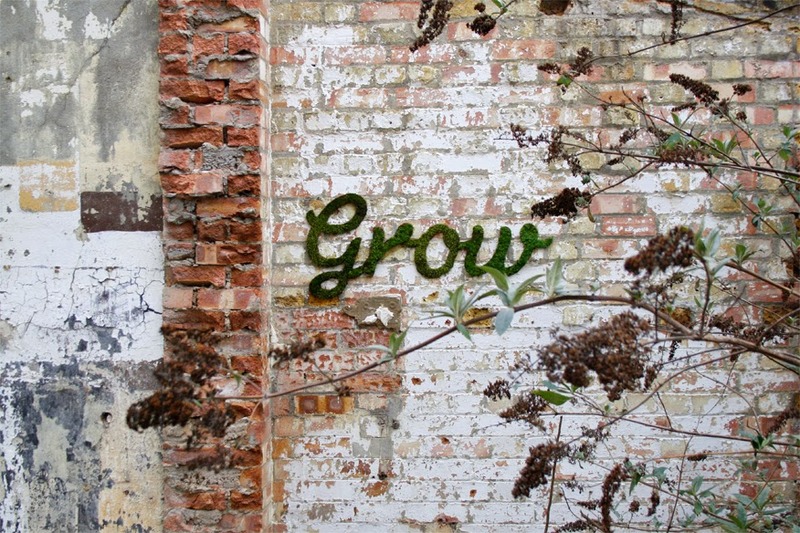 At this stage, you might be tempted to search for a recipe to grow, nurture and shape your own green graffiti. The typical formula offered by the Internet involves a blended mix of moss, beer, water, hydrogel, corn syrup, starch and yogurt/ buttermilk/ cream. Like an excited child, I gathered the suggested materials - along with stencils and brushes - intending to bring the garden to life with miniature mossy creatures. 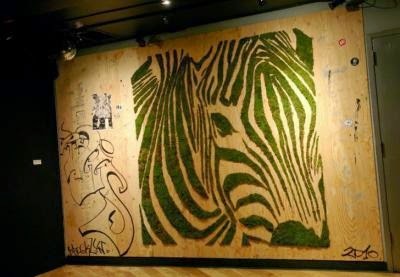 My moss was collected from the very walls that I intended to grow my graffiti. Three weeks later, I only have mould growing on the sticky paint. Mould, not moss. Black dirty bits. No soft green carpet shaped into gnomes and cats. 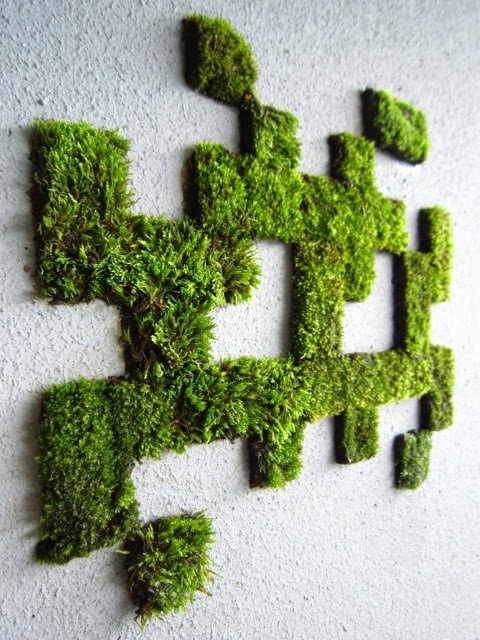 1) None of these moss graffiti is grown on a wall itself. They are pasted there. 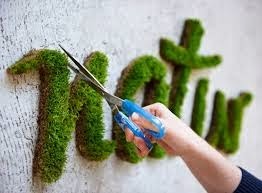 Oftentimes, the moss graffiti falls off when the adhesive fades. 2) The conditions of the wall - amount of exposure to sunlight and moisture - do not support the growth of moss graffiti even after they are pasted to it. They wither. They die. 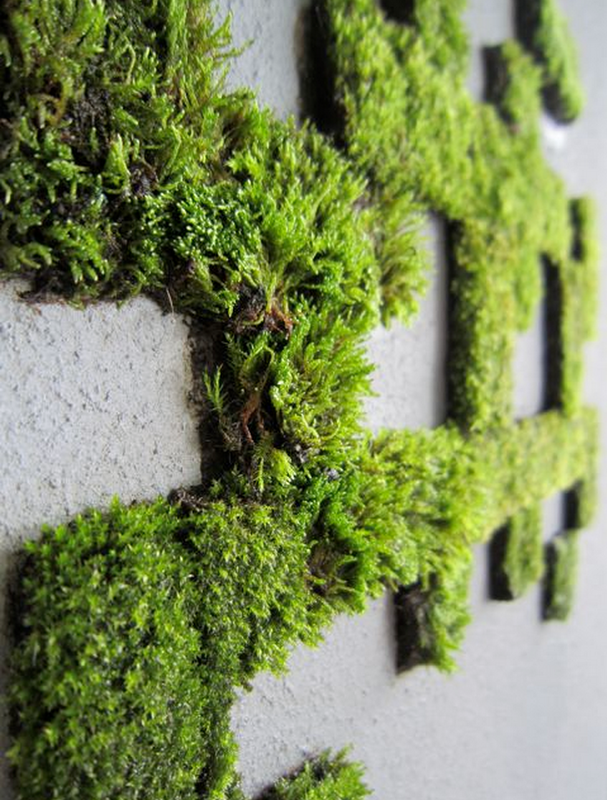 3) Some designs are made from dried moss - much easier to handle, though less exciting. Dried moss, surprisingly, looks alive. 4) The moss paint gets washed off by rain. Not advisable to use it (especially in the tropics during the monsoon season). 5) The moss paint just doesn't work. It attracts snails and slugs which snacks on the paint you lavishly slathered. These organisms thank you for the delightful potion. 6) It supports the faster growth of mould. Everything darkens, all the minerals are used up. No hint of greenness. 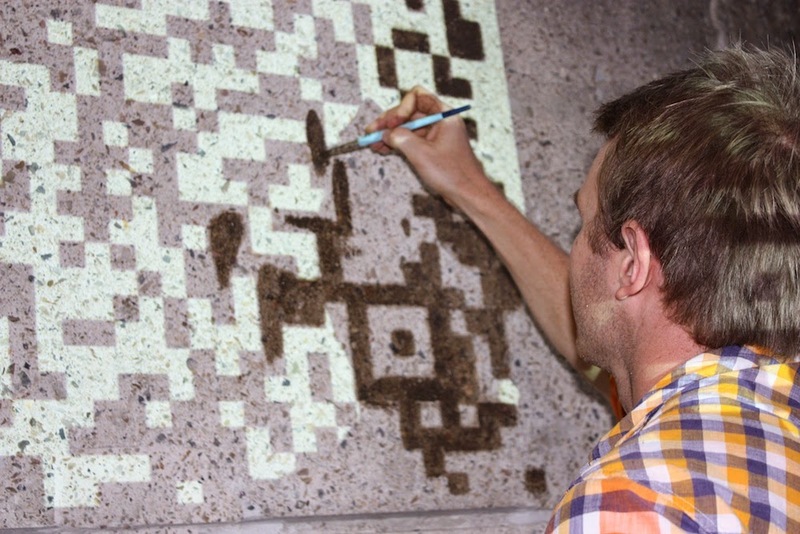 For more evidence, let's take a look at this guy painting something before the QR code was grown. Does it seem like moss paint? Well, it isn't. It should be some kind of adhesive. How do we know that the moss graffiti is not grown in-situ? Take a look at the picture below. Notice that the moss has patches pointing in different directions. This suggests that the graffiti composed of disparate moss patches. 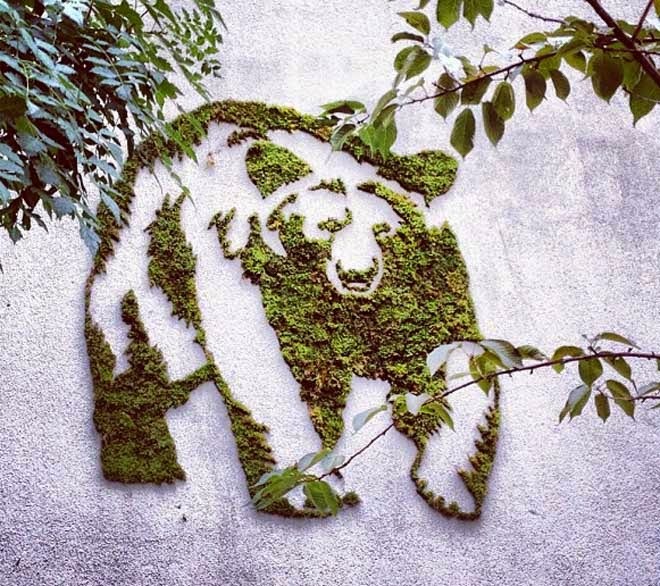 Should the moss be grown on the wall, every furry bit would be pointing in the same direction. After the excitement of blending a potion of moss paint - looking forward to its growth - imaging mossy creatures slowly coming into existence - feeling alarmed at spots of darkness - pondering if it was even moss - realising that the moss paint wasn't working - wondering if it was due to my failure as a human being - searching for advice online, I've come to the traumatic conclusion that the virtual recipe doesn't work and the moss paint is a lie. The QR code is an excellent marketing idea. (Yeah, it does look strannnnge). I think it depends on where you coat the paint. I got moss from the drain and painted it on a wall just two metres away. It didn't work out. Perhaps it would work out better for you?